Additional Info: Free-view TV & second toilet. To secure booking a £50 non refundable deposit is required on booking & remaining balance 6 weeks before. 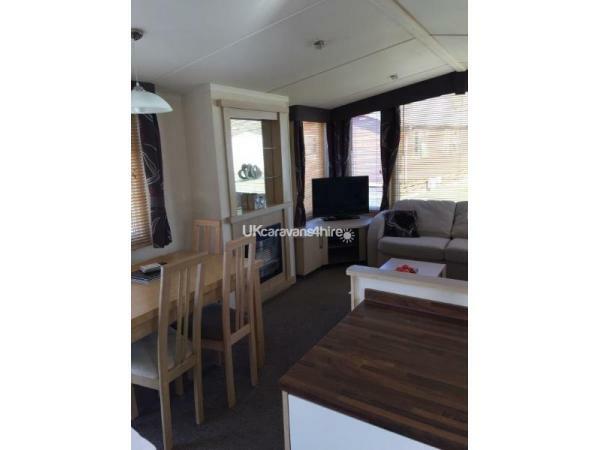 There is also a £50.00 refundable damage deposit which we will return within 7 working days. 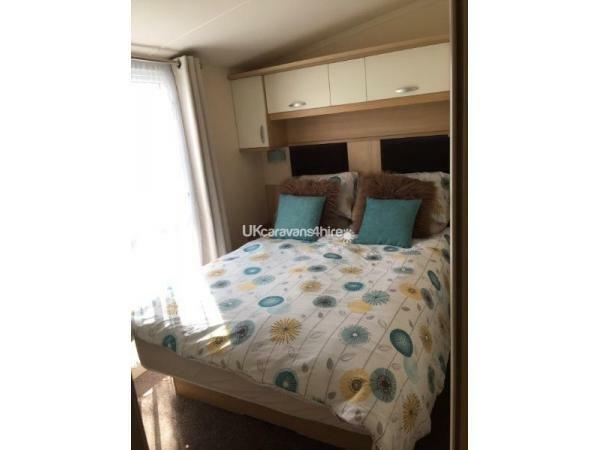 3 bedroom Swift Moselle caravan to let with double glazing & gas central heating. 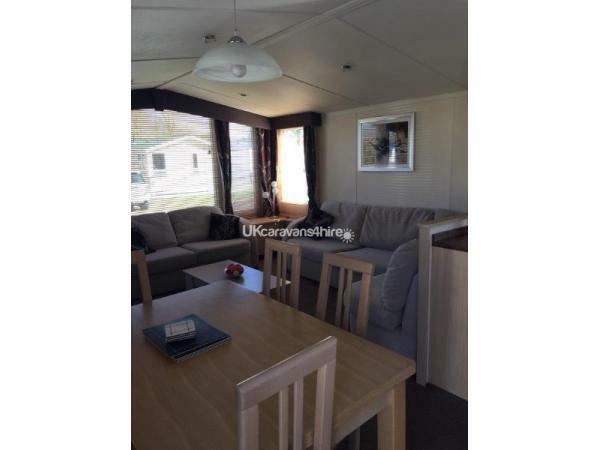 its situated on a prime location in castle lake which is only a 5 minute walk to all amenities. The living room has free-view TV & a DVD player. 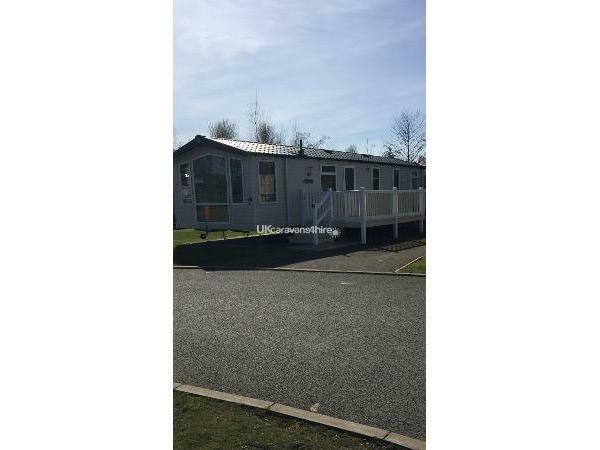 There is decking to the side of caravan & a patio area with furniture. 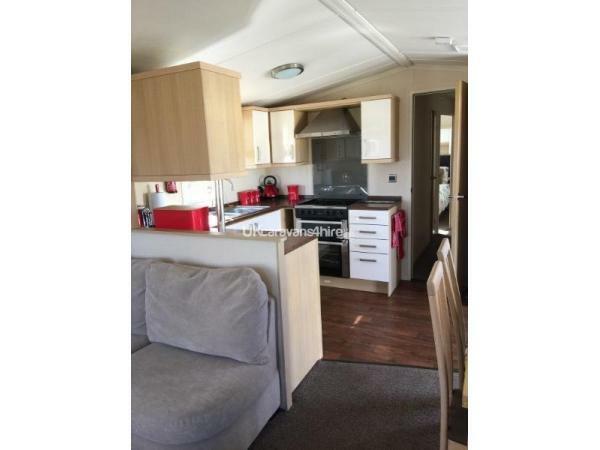 The kitchen has a gas hob, gas oven, microwave, fridge freezer kettle & toaster. 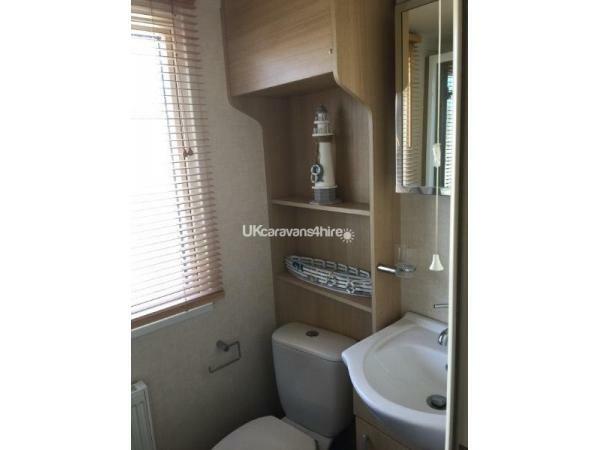 The main bathroom has a large shower area & there is also a second bathroom with toilet & sink. 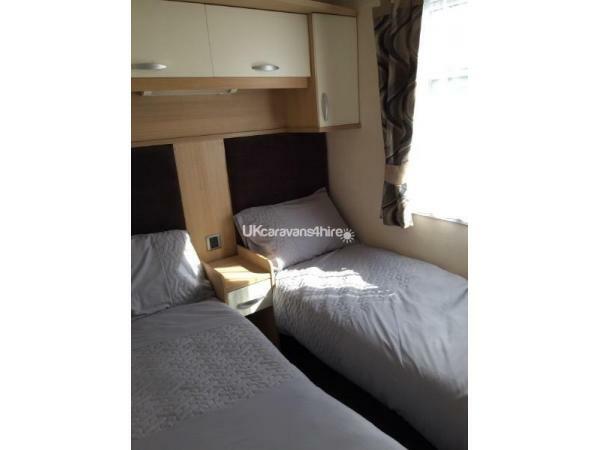 Main bedroom has double bed with wardrobe, overhead storage & dressing table. 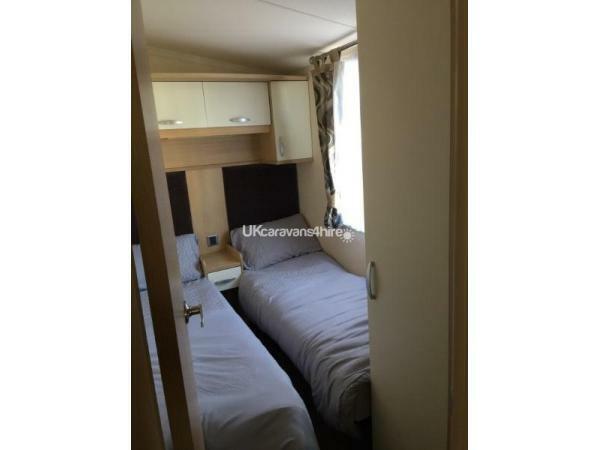 Bedroom 2 & 3 has 2 single beds wardrobe & overhead storage. Prices do not include entertainment passes you can purchase these from main reception. Quilts & pillows are provided but please bring your own bed linen.